Summer Fun Archives - Get Involved. Make Friends. Enjoy Motherhood. Summer is the perfect time to entertain, especially in Colorado. 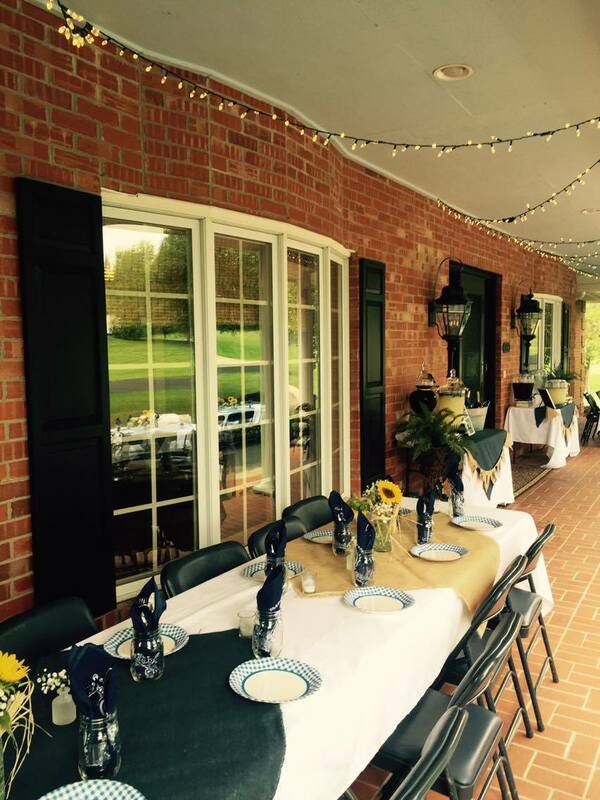 We have access to great outdoor venues and weather that opens up more space for entertaining than during the winter months. When I think of a summer BBQ, I think outside. Everyone’s event space is different, but it always adds something special if you can enhance it a bit from the everyday norm. For a party that may linger until the evening hours, a great way to bring your space to life is add specialty lighting. This does not have to be anything expensive, you most likely have Christmas lights collecting dust in storage that you could re-purpose in this way. Whether you wrap trees or string overhead, the lights add an ambiance that will definitely increase the space value and make the event seem a bit more intimate. Of course, every BBQ needs to have good food! A BBQ offers so many options of what to provide for your guests, or you can opt for potluck style. Whether you grill everything yourself or cater it from a nearby BBQ joint, it is one of the most straightforward menus. 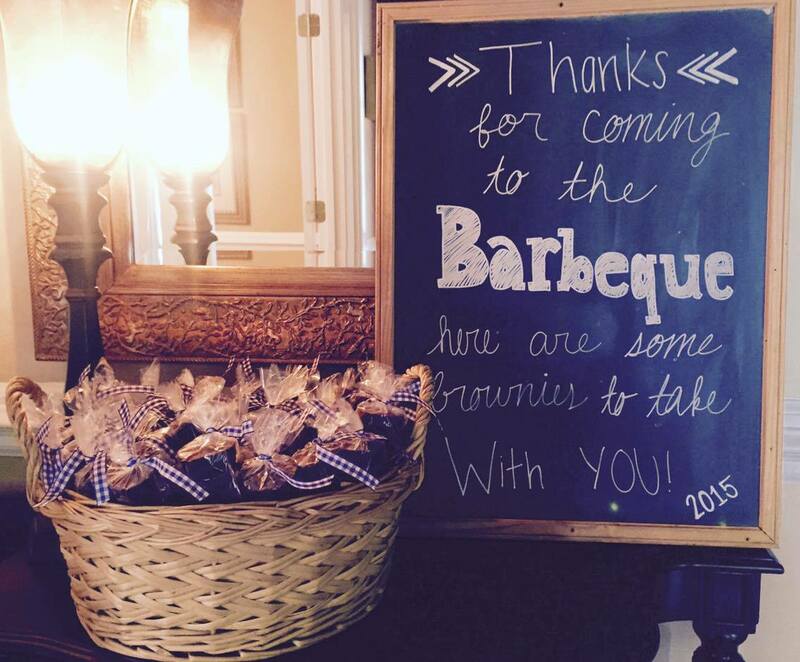 I love to display menus for events like this, and one way I do this is by using chalkboards. 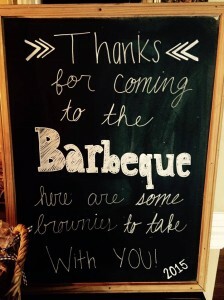 I LOVE chalkboards for event planning and especially since they are still on trend with a lot of styles. Whenever I see a chalkboard on sale, at a garage sale, on a buy/sell group, I will usually buy it because they are so versatile for these occasions. I display the menu on a larger style chalkboard near the food. If you are interested in using chalkboards, I feel obligated to tell you about the chalk marker, quite possibly one of the greatest new inventions! I don’t have the best handwriting, but chalk markers make writing on chalkboards SO much EASIER. You can buy chalk markers at any craft store. Trust me, if you have a chalkboard, you need some of these! 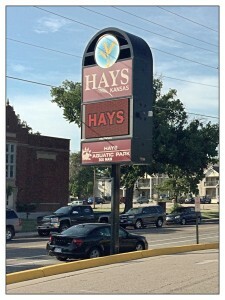 Signage goes a long way toward increasing the sophistication of an event. So, whether you use a chalkboard or create signage of your own it can definitely create that WOW factor for your guests. 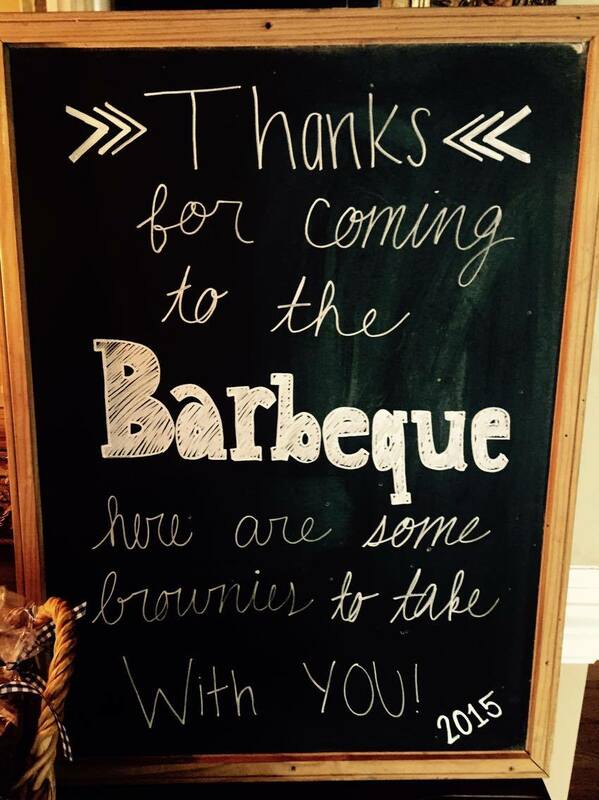 For this summer BBQ, I used a combination of chalkboards and customized signage that I created and printed. You don’t have to be a graphic designer to whip something up and with a little practice; you would be surprised at what you can create. There is a free program called PicMonkey, that is super-easy to use. If you watch a few YouTube videos, you will be all set to create some simple signs. Of course, there are also plenty of printable party signs and enhancements that you can purchase on Etsy if you would rather go that route. In addition to great food, I really love the look of a great table setting as well. You can certainly have a BBQ and just pull out a stack of paper plates, but there are also a lot of ways you can spruce up the event that don’t add a ton of cost. Now, this (pictured event) was a BIG party for over 100 people, so we opted for disposable tableware. When planning your event, it is great to establish a theme or color scheme and choose the elements with this in mind. We opted for a blue/gingham/rustic feel for this gathering. We covered the tables (because, they were those ugly plastic ones…) with white tablecloths to give us uniform look. 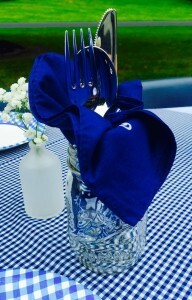 Then I alternated pieces of colored burlap and blue gingham as table squares. For the plates, I found a blue gingham paper plate that matched perfectly with the color scheme. I wanted the table setting to feel a little “upscale” since this was an adults only event, but had to keep in mind the quantity of people. I also knew that I wanted to incorporate the rustic style of mason jars. Now, as an event planner, I actually own over 100 mason jars. I know, kind of crazy! Hopefully your BBQ won’t require you to purchase quite so many, but they are a great investment and something you will use again and again. We stuffed the mason jars with a blue handkerchief for a napkin and upgraded to the “fancy” silver plated plastic utensils. The combination really looked great! The last touch to the tables was flowers! Did you know that you can buy flowers in bulk from Sam’s Club? You can! That is where we ordered these flowers! These arrangements were relatively simple to construct. 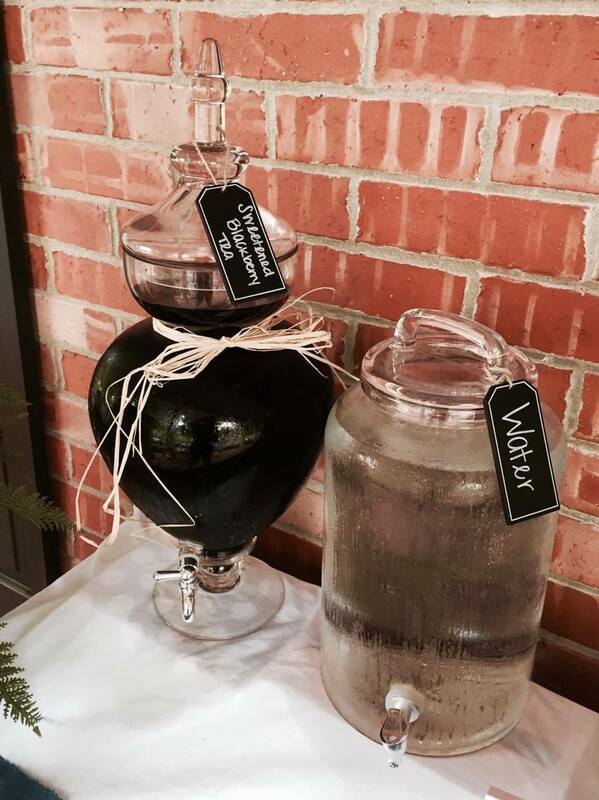 For vases, we used a LARGE size mason jar. Then we stuck a combination of sunflowers and baby’s breath in the vase. Keep in mind, you do have to order the flowers a little bit in advance to make sure they will have the quantity you require. To finish it off, we tied a bow of raffia around the top of the vase. Voila! Beautiful tables, complete. 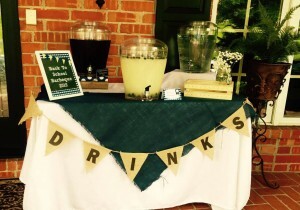 For the drink areas, we set up a few tables and layered different drink dispensers. What do a mean by layering drink dispensers? Well, it makes the visual more appealing when items are layered at different eye levels versus having them all lined up in a straight line. I will often wrap books (Harry Potter books work great for this!) in coordinating paper and use them to achieve different heights for a display. We spiced up the store bought lemonade and tea by adding fresh berries as well as descriptive labels for each dispenser. 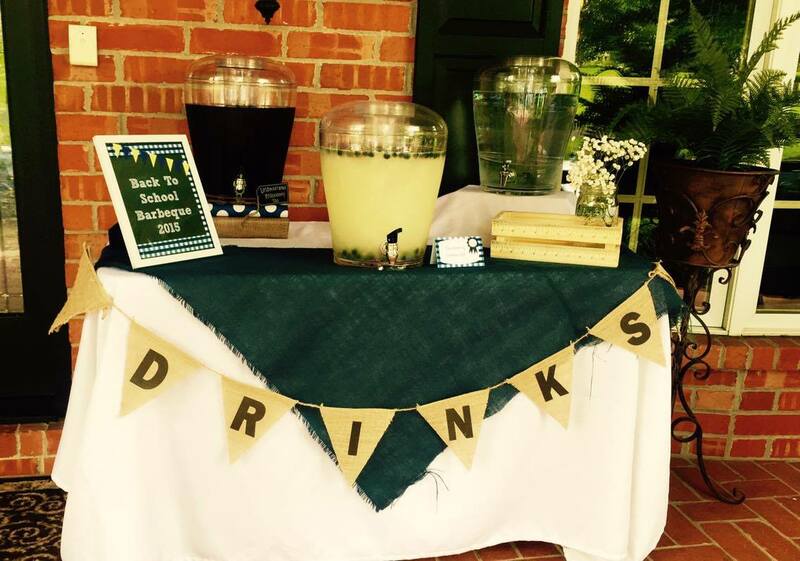 To spruce up the front of the drink stations, we draped a burlap banner labeled “DRINKS.” I use this burlap banner all the time and just change the letter stickers (yes, they are removable stickers) on the banner depending on the occasion. As the event comes to a close, I love to send guests off with a little something to remember the occasion. This is by no means necessary, but it is a nice gesture if you can fit it into your party budget. 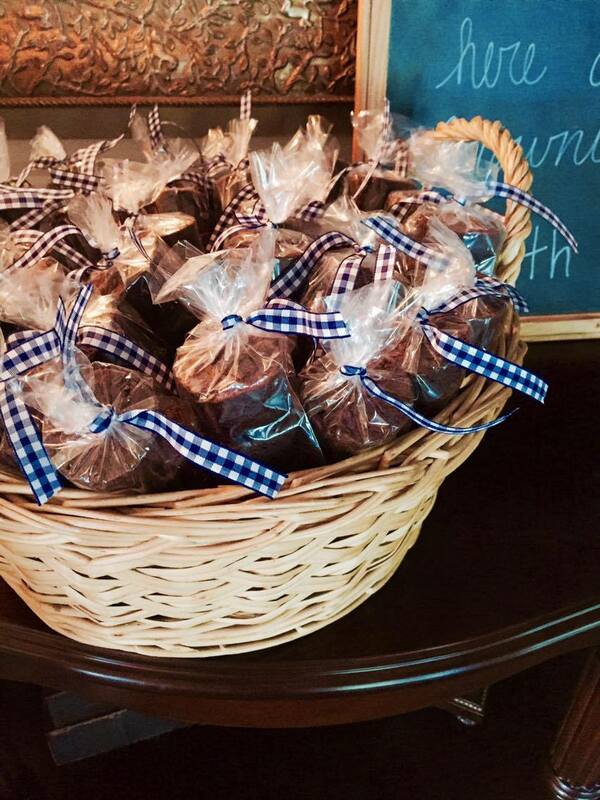 In this instance, we decided to give each departing guest a small package of brownie bites. The brownie bites were from Sam’s Club and I packaged them in a small cellophane bag, tied securely with a blue gingham ribbon. They were displayed in a basket alongside a chalkboard (of course!) with instructions for guests to take one on their way out. So, what makes a good party? The people you surround yourself with, of course! What makes a pretty party? Well, a lot of the details that I shared with you here today. 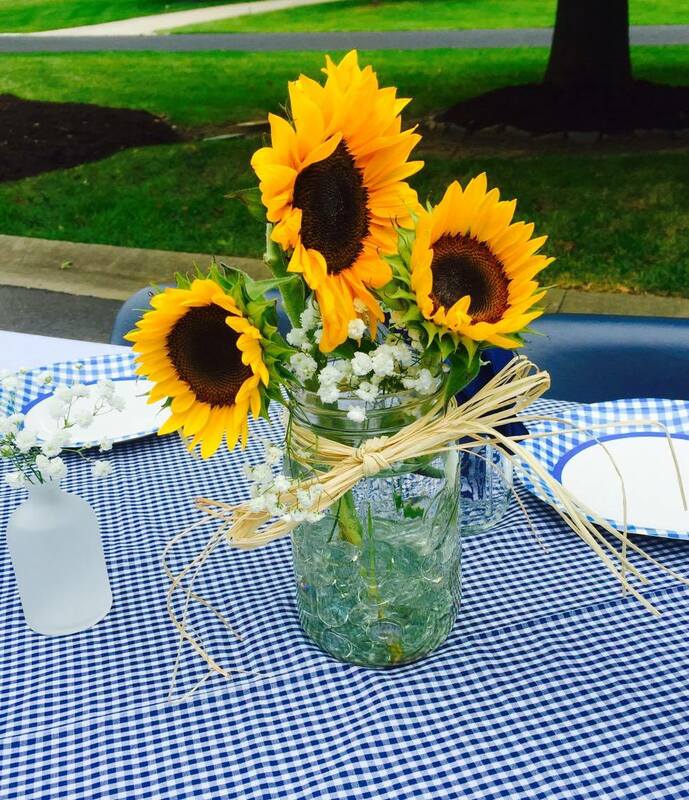 By creating a subtle, but consistent color scheme or theme you can really turn even a simple BBQ into a coordinated event. I’m looking forward to the snow finally leaving for good, moving into my new home, breaking out my boxes of mason jars and having you mamas over for a mommy date! Share your tips and tricks for a summer BBQ or what you loved from this post in the comments below. I am so excited to be sharing a post with Mod Moms! My name is Jessica Diamond. 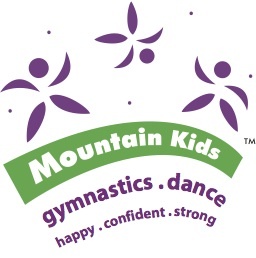 I joined MOD Moms as soon as we relocated to Colorado last year. MOD Moms was instantly a great group of moms to connect with and share information. I am so looking forward to getting out to more events and meeting more awesome moms! 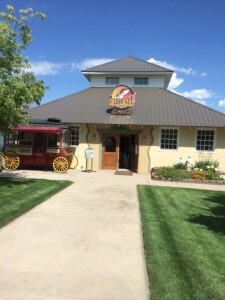 Since moving to Colorado, I have started a local resource blog, Mom Knows – Boulder County. I thought it was the perfect way to share all the information I was discovering, as well as to offer tips on a few areas where I already had some experience. I hope you’ll take a look and find it useful! Before we moved to Colorado, I owned and operated an event/party planning business – Simply Perfect Parties. 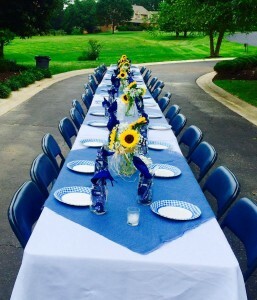 I started the business because I LOVE throwing parties and could really entertain everyday! With relocating, renting, trying to buy a house and getting the family settled here, I have not had the time to relaunch the business. However, I still think about parties all the time! Since we are headed into warmer weather, I am going to share with you some easy ways you can throw a summer BBQ that is sure to impress your guests. Maybe your summer was filled with exotic locales and trendy hot spots. For me and my little guy, this summer’s big travel itinerary didn’t feature beaches, resorts, or wild rides. Nope, our big summer fun was braving a cross-regional road trip: 11 days, 10 nights, 6 hotels throughout the scenic farmlands of Kansas, Missouri, and northern Arkansas. One driver (me) and one 4.5-year old co-pilot, and many, many bathroom stops along the way. 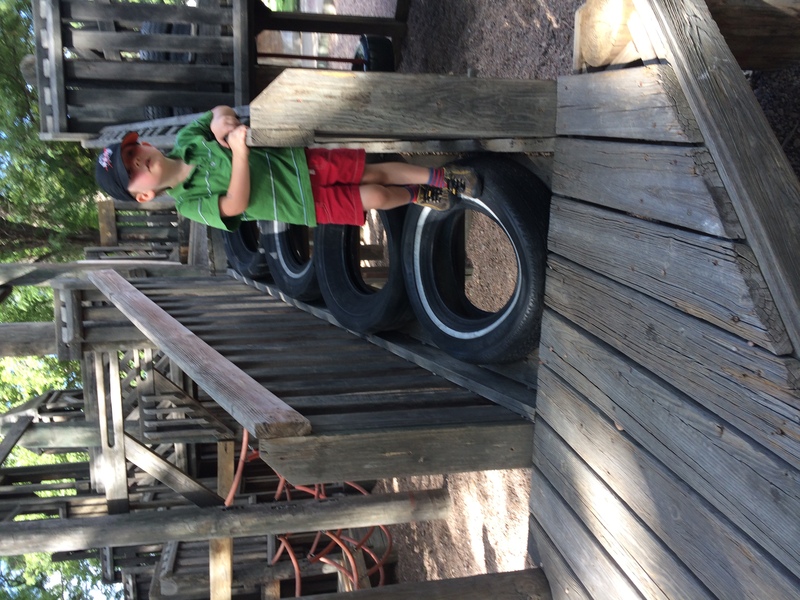 It was Mama and W’s Big Adventure, and it was surprisingly manageable and … even fun. 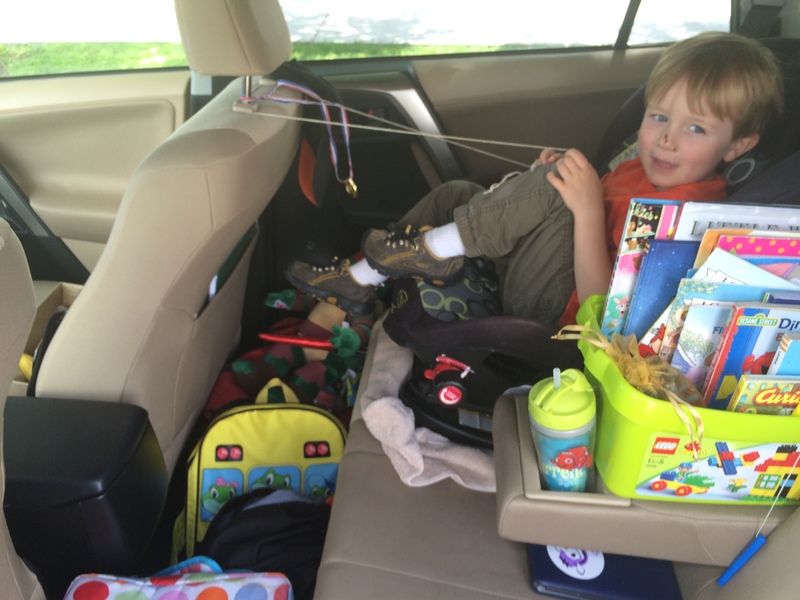 Perhaps you’re a seasoned expert at kid-friendly road trips, maybe you’ve got a streamlined system ready for a patent. Me, I’m just a left-foot-right-footing it mama who had a couple of big family events and a deep love for other people’s stories. Pre-kid, my husband and I regularly blazed a handful of routes across the midwest to see our spread-out family. We’d blast some great music, or listen to an entire (grown up) audio book, making necessary stops with incredible precision and speed. “I’d like to see that someday,” I’d remark wistfully as we’d whisk past the World’s Largest Prairie Dog and the Historic Carousel attractions. But we always had a schedule to keep — and really, those places are just tourist traps, right? This time, with just me as the driver and sole kid-wrangler, I decided my main rule would be to attempt to enjoy the journey. And, strange as it might sound, part of enjoying that journey was a hefty amount of pre-trip planning. I decided that I didn’t want to spend more than 4-6 hours per day actually driving — and I wanted to add a buffer for fun and interesting stops. Like an expert travel agent, I researched towns, historic landmarks, parks, museums, and interesting diversions. 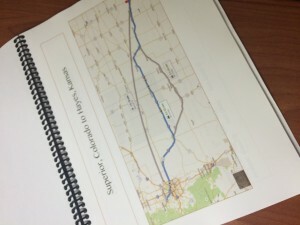 To engage my co-pilot (who prefers plans to spontaneity) I crafted a spiral bound book with a map for each day, a picture of our hotel/lodging and the planned stops along the way. I added a mini-review section for each page, “Good, Just Okay, and Not Good” with a space for comments and notes, but reminded him (and myself) that we’d stay open to other possibilities along the route. W’s Trip-Tix and Review Book. I’ve never been great at packing light. Like a good Girl Scout, I just like to be prepared. Ask anyone who knows me — I’ll likely be the one in the group who can pull just about any random thing you might need out of my bag. Extra t-shirt? Snack? Water bottle? Bandaid? Wet-wipes? Toys? I can’t help it. So, even though the weather report predicted triple digit temperatures for most of our trip across the Heartland, I stuffed our rain jackets, sweatshirts, extra pants, and even my favorite puffy vest into our family’s largest and heaviest suitcase. I mean, what if a freak July snowstorm really did occur? My eye-rolling husband would feel silly then! As it were, weather.com was on the money. Temperatures ranged from 92 – 106 degrees (even at night!) for most of the trip and my favorite green vest sat mocking me in that enormous suitcase the entire time. I might have overdone it on the clothes. But I got it right on the toys. I cleaned out my gym bag and filled it with gallon-sized ziplocs of: legos, little tiny dinosaurs and animals, matchbox cars, markers, crayons, and art supplies and tons of other toys I can’t remember. Perhaps the most important item of all: rolls of colored painter’s tape, perfect for making roads and cities on hotel room carpets. My main strategy for car packing — ease of access. Food, snacks, wet wipes and special needs items occupied my passenger seat. The ever-useful portable potty (Pottette Plus) and compostable liners/ bags were stuffed into a drawstring backpack and tucked just behind the driver’s seat, ready for emergency deployment. The gym bag turned toy-palooza sat just under W’s feet where he could hook it with his left toe and procure any of the items he needed. For quick access to books and coloring supplies, I filled an old Duplo Lego bucket and wedged that atop the rear armrest next to his carseat. It was perfect! I was so proud… at least until I took that first hard left turn and sent everything flying across the car. And of course, the most important/useful item in the car: my trusty prize bag. Whenever we travel, I always prep a small bag of surprises. Little trinkets picked up from the dollar bin at Target, treats W doesn’t usually get to eat, and even a few extra special things like a harmonica (#whatwasithinking?). My grandmother used to do that for my brother and me when we were kids. She put a lot of thought into hers: each small treasure would be stapled inside of a brown paper lunch bag — labeled with the mile marker or landmark where we would finally be able to open the goodies. Following in Grandma’s footsteps, the first set of W’s prizes on this trip looked lovely, so nicely wrapped in tissue paper. Christmas in July! Genuine glee in the backseat, I tell you! As the trip progressed though, the surprise bag dwindled. So, the little guy and I picked out inexpensive prizes together from museums, a Dollar Store, and a couple of Walmarts. At prize picking time, W would close his eyes and fumble around the bag. “I’m gonna pretend I forgetted what we buyed, okay Mama?” he’d say earnestly. Knowing my little co-pilot would need to stretch his legs (and empty his bladder) frequently, I tried to plan for a multi-purpose, relatively fun stop every couple of hours. 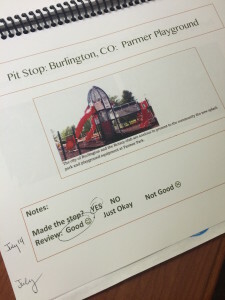 Our first official destination (not counting the quick bathroom tour in Arriba) was Parmer Park in Burlington, Colorado. Prior to this trip, Burlington, to me, was simply a blur on Highway 70. People, let me tell you, if you have small folks in your car, Burlington is worth a few minutes of your time. Parmer Park, Burlington, CO. Lots of fun! 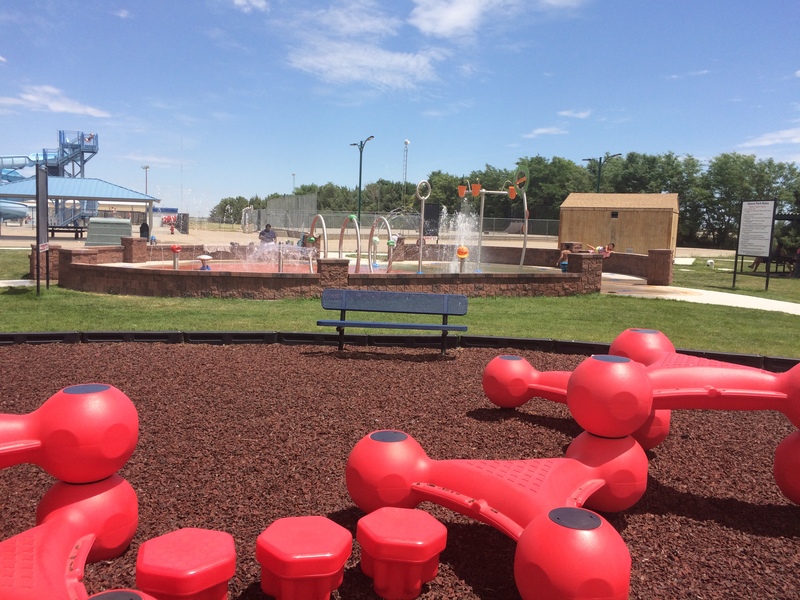 With a rocket ship-themed playground and a rather impressive splash pad, Parmer Park earned a “Super Good” in little W’s review book. If we would have planned ahead, we could have enjoyed the adjacent swimming pool for just a few bucks, and that would have been a nice way to relieve the 96 degree heat. Energized after our brief play break, we turned the car east and headed toward the Kansas line. The next pit-stop on our list? One of my favorite gas spots — the beloved Colby Travel Oasis. Boasting a small playground, clean bathrooms, kitschy souvenirs, a Starbucks, a Quiznos and a Qdoba, Exit 53 is always a welcomed sight. After gassing up, little W bounded out of the car toward the scorching playground and I relished a few minutes to check my email under the shade of the tiny picnic pavilion. 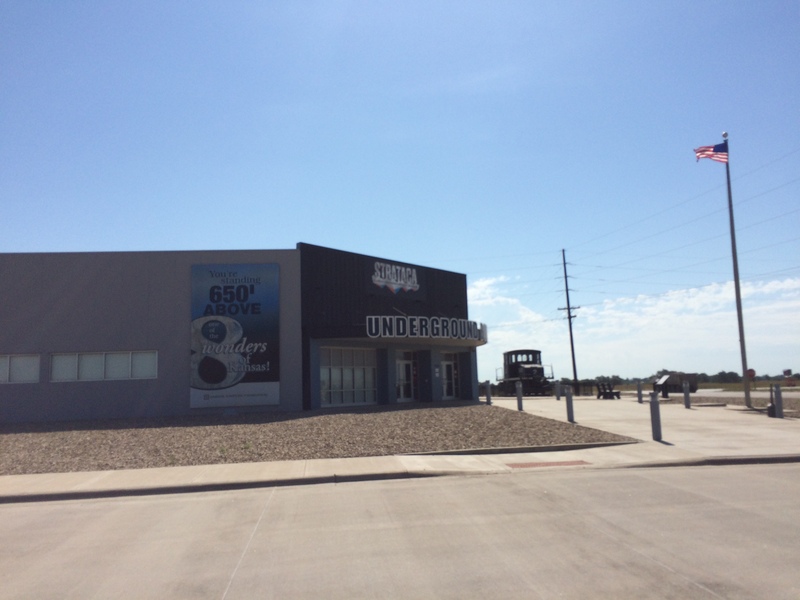 Colby Travel Oasis, Colby, KS (Exit 53!). Sweaty and worn out, we grabbed some sandwiches for the rest of the day’s drive to Hayes, Kansas where our hotel, and more importantly, the swimming pool, was waiting for us. That first evening, I knew I made a mistake with the suitcase. It was unbelievably heavy and awkward. Erick never would have packed it that way. I hate it when he’s right. I had to lug the giant suitcase filled with every season of gear (really, what was I thinking! ), plus the toy bag — because, toys! — and my computer backpack, and the food bag — because, food! — and the giant Teenage Mutant Ninja Turtle accompanying us on this journey. It wasn’t pretty, and it looked like we were moving in, but I did it. And though I was tired to the bone, I kept my swimming promise and even had fun in the pool. Post pool-time, I shuddered when I realized that I couldn’t actually stay up late to write or work or relax — because we’d be hitting the road early in the morning and I had to pack up all of this stuff that had somehow exploded around the room. The next 11 days are kind of blur, but in a good sort of way. It was never easy, and I was certainly tired. But, I was surprisingly not miserable. Having a checklist of fun stops each day, helped my little guy (and me, too) stay focused on the journey rather than the tedious miles. And sometimes, it was the littlest things that made W smile. On Day 2, in the breakfast area of Holiday Inn Express, we spent 10 minutes watching pancakes emerge from a futuristic-looking contraption. “Pancakes from a machine? Are you for reals?” little W asked me skeptically. After stuffing all of our luggage back into the car, we charted course for the day’s first adventure: the Sternberg Museum of Natural History. 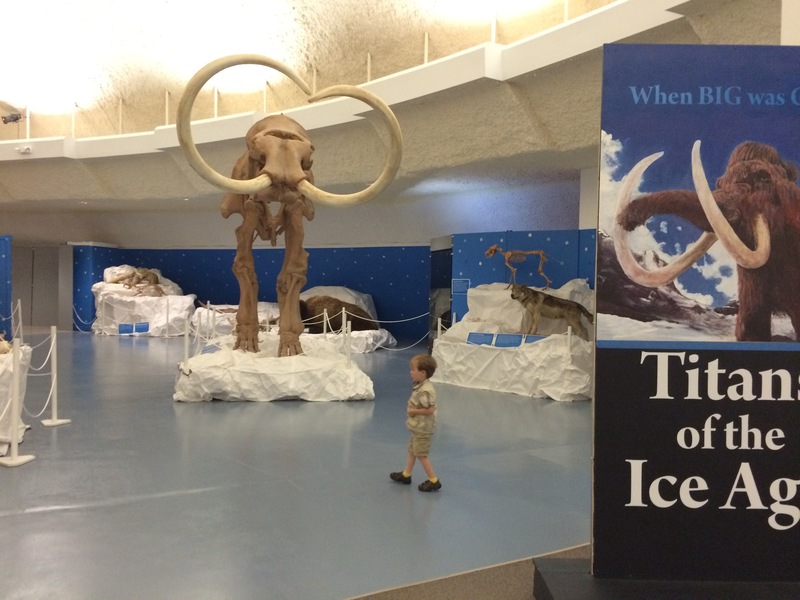 We got in free with our Denver Museum of Nature and Science card (yay for ASTC reciprocity!) and had a great time touring the impressive dinosaur habitat, the kids’ area, and the decidedly cool Titanaboa exhibit on loan from the Smithsonian. 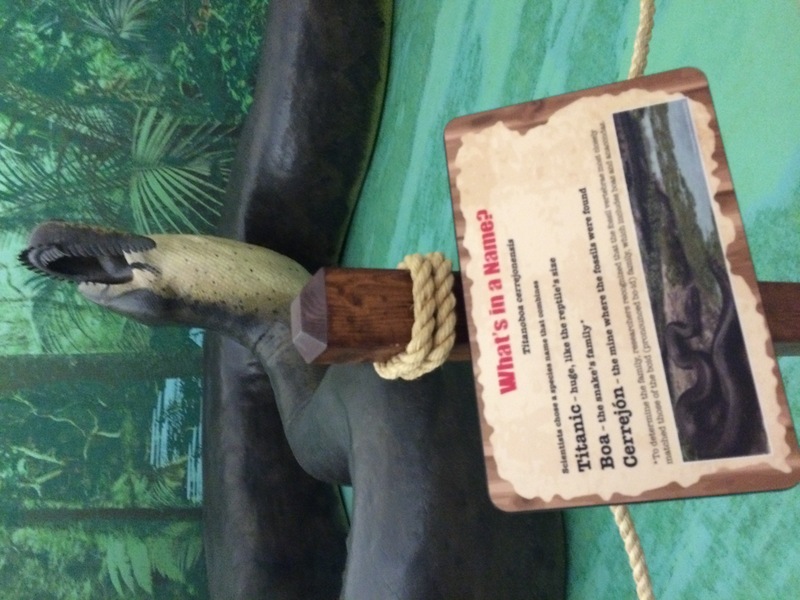 This massive predator was 48 feet long and weighed roughly 2,500 pounds. 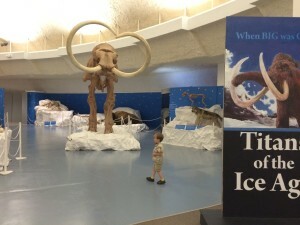 Titans of the Ice Age, Sternberg Museum, Hays, KS. 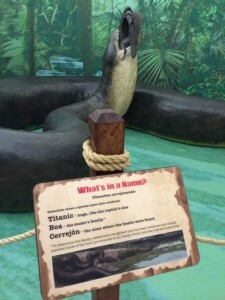 Titanoboa replica (eating a caiman alligator). That museum stop tided us over to Wichita, Kansas. The promise of a Chuck E Cheese date with some family friends was a decent incentive for the little guy to curb his “Are we there yets” long enough for me to stay sane. Along the way, a gas station with a sub-par restroom received W’s only “sad face” rating of the entire trip. For me, double sad face, maybe triple. Chuck E Cheese, though, was surprisingly delightful. Maybe it was the long drive, maybe it was all the extra tickets the hostess handed the kids in our group, maybe it was catching up with a friend I hadn’t seen in years. Regardless, the pizza wasn’t bad, the games were fun, and the company was great. After cashing in over a hundred tickets on funny sunglasses and tiny toys destined for the odd corners of my car, we loaded up for the day’s final destination, Hampton Inn in Hutchinson, Kansas. There, for the second time, I cursed my need to be prepared for any kind of weather. Why couldn’t I have just packed that stuff in an extra duffle bag and taken the smaller, lighter red suitcase? Seriously. 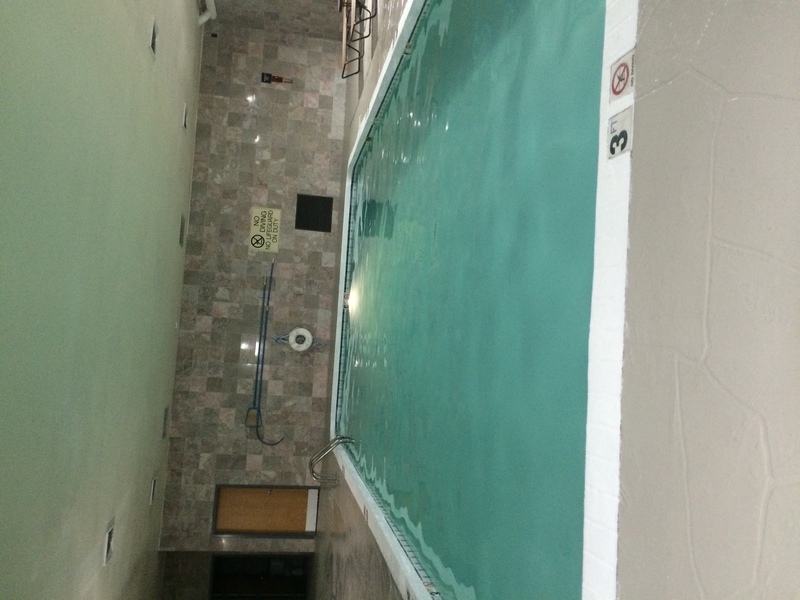 And for the second night, I kept my promise to swim in the pool (even though I was exhausted) and miserably failed on my promise to work on my writing. 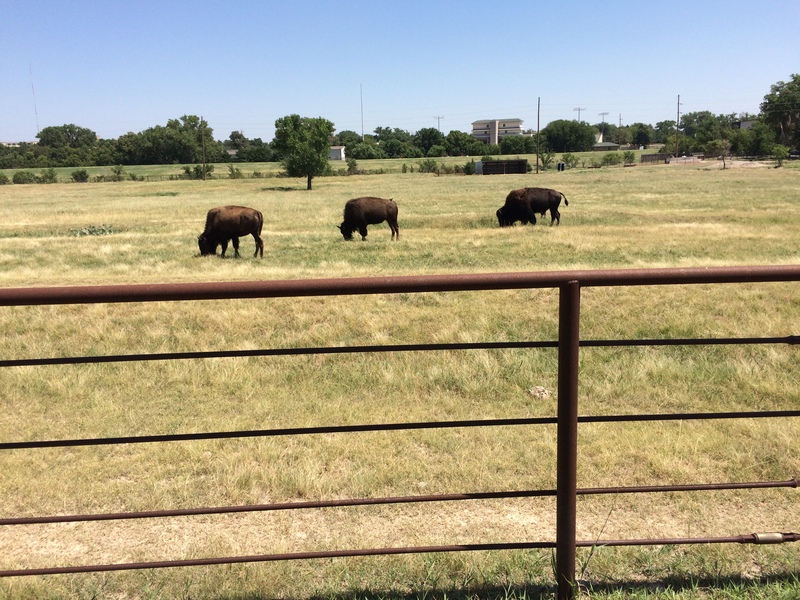 In Hutch, we endured the 100+ degree heat (and seemingly 50 percent humidity) to visit wonderful family and some great local attractions. 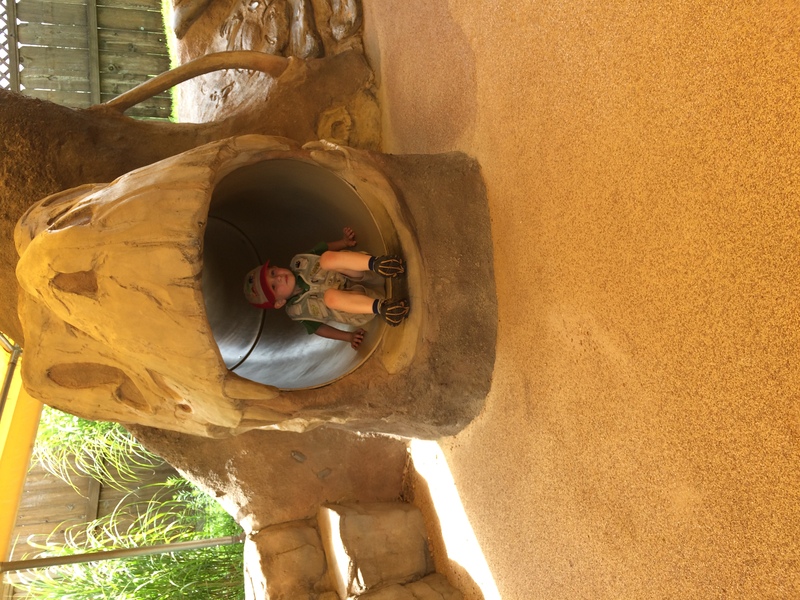 A cute play spot in a mall cooled us off, the free local zoo full of several rescued animals, and many endemic species was informative and educational. It also had a fun little dinosaur-themed play area which was mercifully covered with a sun shade. 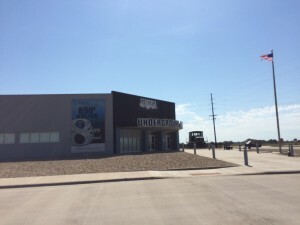 We had hoped to also visit the Kansas Cosmosphere or the Dillon Nature Center but we ran out of time. Plus, I was hungry and I really wanted a coffee not made in a hotel lobby. So, we headed to historic Main Street and stumbled upon Brewed Awakenings which served up a good cup of cappuccino and some tasty sandwiches. Next door, we found Smiths Market, an adorable, old-fashioned grocery full of gorgeous fruits, vegetables, specialty food items and interesting toys. The next day was the best. 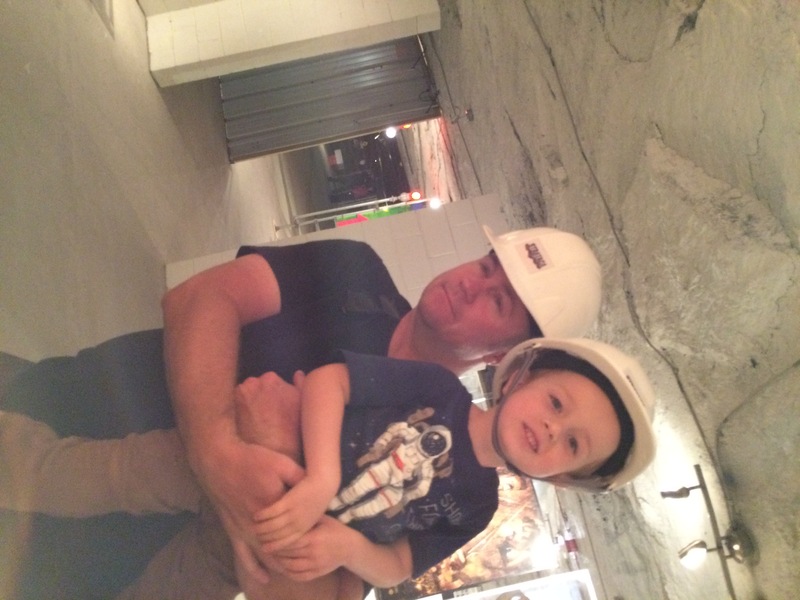 We donned our hard hats, joined up with family, and explored the Strataca Underground Salt Museum 650 feet below ground. The ride down was admittedly unnerving; a dark, crowded elevator with no way out? Claustrophobia anyone? Fortunately it was quick and the guide had a headlamp. 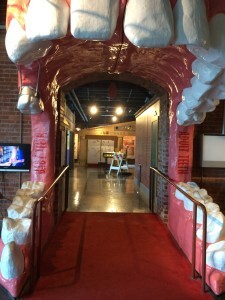 When we piled out of the elevator, we saw what seemed like miles of tunnels and caverns. Exhibits tucked into corners here and there elaborated on the history of mining and methodologies. Little W “oohed and ahhed” over dynamite blasters, and cutters, and other strange machines whose functions I still don’t understand. 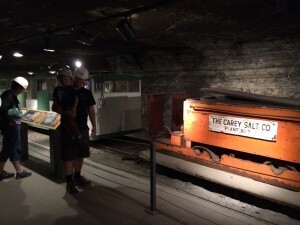 To his delight, we rode the underground train, touring some of the original areas of the mine. Looking back now, I realize that we really should have opted for the additional special “dark ride” for just a couple of extra bucks. On that one, visitors get to see other tunnels and ‘mine’ their own salt rocks. Streetcar Underground Salt Mines, Hutchinson, KS. 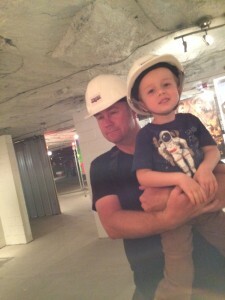 Touring the Salt Mines with Uncle Rick. Old equipment used in the salt mines. Next on our itinerary? Pratt, Kansas. 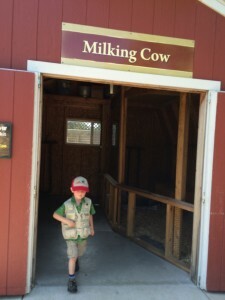 A quaint farming town with historic homesteads and some really nice people. I got to meet a cousin I’ve only really known on Facebook, enjoyed being regaled with tales of my dad’s high school antics, and was treated to a special family tour of The Pratt Education Center, part of the Kansas Department of Wildlife, Parks and Tourism. 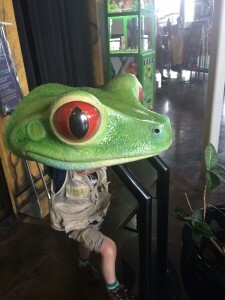 W loved the fish hatchery, the aquariums, the snakes and salamanders, and the many displays and mounts. Keeping a tight schedule, we high-tailed it to Joplin, Missouri. Or, at least we tried. On the map, US Hwy 400 seemed like a pretty straight forward choice. Direct, dotted with small towns. I imagined it to be picturesque and perhaps slightly less-traveled. In actuality, it was desolate. And none of those map dots seemed to be anywhere near the highway. I think we saw one town, one gas station. My first clue should have been the pre-trip Internet searches for a hotel. I couldn’t find anything enroute (with a decent swimming pool) closer than Joplin. Well, that’s not true. I did find one hotel that seemed like it would work out okay. But when I checked the photos online, there were mirrors above the beds — which kind of creeped me out. Maybe it was the long drive, maybe it was the stale car snacks or the Raffi on repeat, but when I dragged our giant suitcase into the lobby of the Homewood Suites of Joplin, I think I heard angels sing. For a regular hotel, this property was amazing. And though we pulled in past 9pm, the blazing fire pit, the outdoor putting green and the saltwater pool (all open til 11pm) made my little guy’s eyes sparkle like he was on a real vacation. Each room was a mini-apartment, with a separate sitting area and kitchenette so it really did feel a bit like home (especially after the toys came out). I bought a bottle of Perrier from the front desk and stuck it in the freezer so it would be nice and cold. Then fed the child, went for a whirlwind swim, quick round of putt-the-golf ball, and warmed up by the fire. With little W finally tuckered out and tucked in, I remembered my sparkly water waiting in the freezer. Except it wasn’t. It had exploded everywhere. What was I thinking? For the next half hour, I questioned my brain power while picking out every shard of green glass from the freezer. My own major gaffe aside, this place was a lot of fun. They had a great breakfast and really lovely staff. Be aware, though, this is a pet-friendly facility. I didn’t know that when I booked it, though I am sure it said so in the fine print. My little guy is often scared of dogs, but he found riding in the elevator with them to be refreshingly fun. So, hooray for that. The next day of our big adventure we headed toward our second major destination: a surprise anniversary party for Nana and PopPop in northern Arkansas. Along the way, we finally made it to one of W’s most anticipated stops. 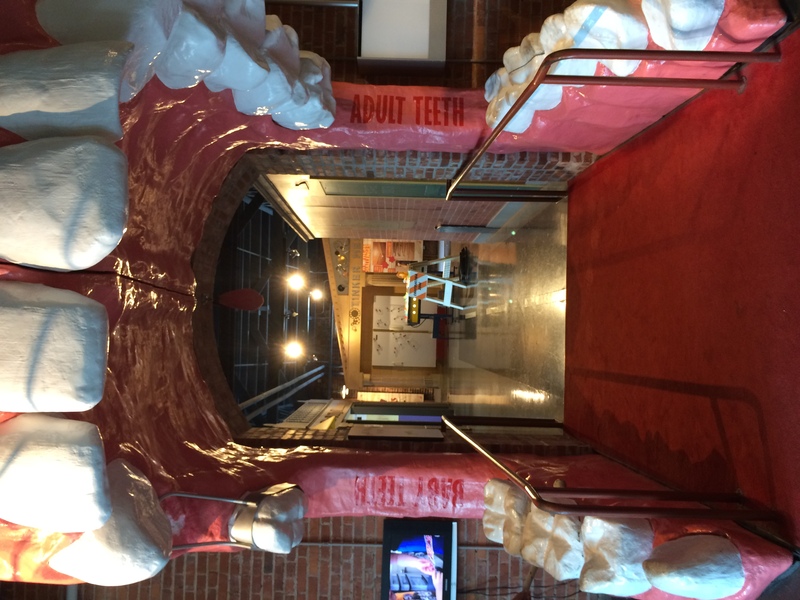 The Discovery Center of Springfield, Missouri — or as the little guy called it, The Mouth Museum (the website has a photo of a giant, walk-through mouth as part of one of the ‘human body’ exhibits). 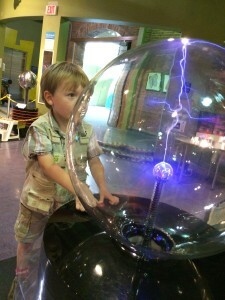 We used our ATSCA / Denver Museum of Nature and Science card for free admission (yay!) and enjoyed the place so much we added it to our itinerary for the way home. 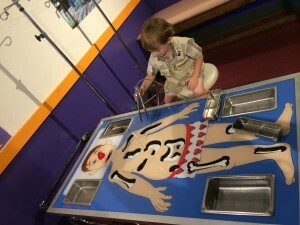 There was a dinosaur dig pit, a giant Operation game, a small magnetic crane, an airplane flying game, an interactive human body exhibit and so much more. 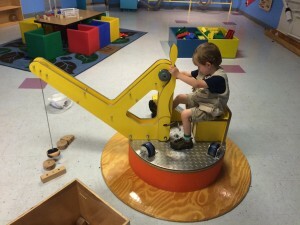 Discovery Center, Springfield, MO. So much fun! From the museum, we had a rather manageable drive to the beautiful old farm where dear friends put together a lovely celebration for Nana and PopPop. The drive was worth it just to see the smiles on their faces as we snuck across the field. 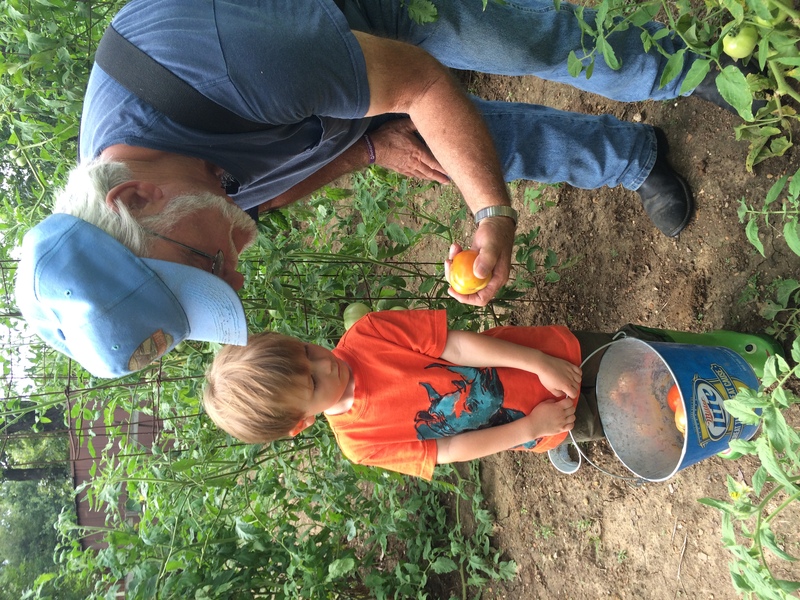 Our Arkansas days were full of family, tractor rides, chigger bites, garden visits, and hammering projects in PopPop’s workshop. 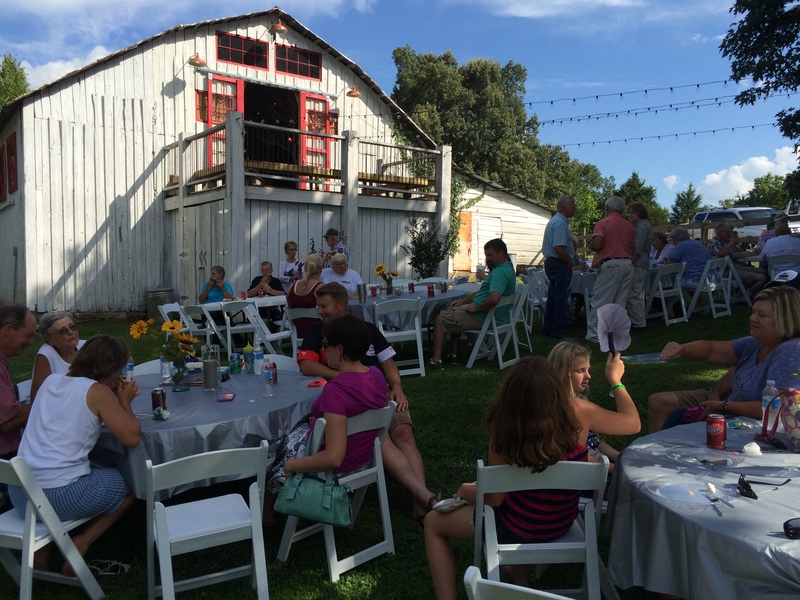 Special anniversary party for Nana and PopPop. Arkansas. Too soon though, little W and I were hitting the road again, homeward bound. Nana escorted us through the hills and hollers past their house on Bull Shoals Lake up to Branson so we could all play tourists. We visited the Butterfly Palace, which actually does kind of look like a palace. 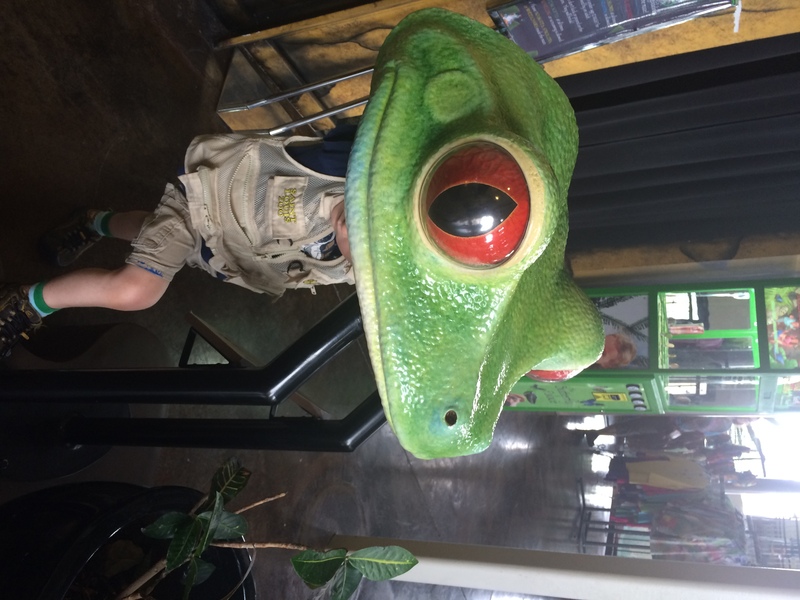 W loved the reptiles and amphibians area, but even more, he enjoyed bolting through the kids’ stuff — a mirror maze (which was surprisingly effective) and a jungle maze made out of bungee cords meant to emulate banyan tree roots. Personally, I enjoyed the tranquil butterfly aviary, which was filled with colorful butterflies, moths, a few birds and the soothing music of a hammered dulcimer. By this time in the trip, I was feeling pretty good. Like, “Mama, you got this!” We had a rhythm, W and I. We had the snacks flowing, the music playing, the prize box full of surprises … Then it started pouring in Springfield. Big, heaving chunks of sky assaulting the car. I have a thing about driving in storms in the midwest. It totally freaks me out. I got caught in the edge of a massive Kansas storm cell of a tornado back in 2008, and it has kind of left a mark. Eyes scanning the sky for signs of dropping clouds, I squealed into the nearest Starbucks for a coffee and a chance to catch my breath. Much later, when we finally pulled into Topeka, the friendly desk clerk couldn’t find my reservation and the hotel was solidly booked (summer vacation travelers, maybe?). Turns out, I’d accidentally mixed up the dates for the last couple of nights on the trip. Really? Who does that? Fortunately, with A+ customer service, a few prayers and a fair bit of luck, little W and I were able to finagle ourselves into decent rooms for both nights at two different hotel chains. And even though it was almost 10pm, we went swimming. Hooray. Growing a little weary of the car, we dragged out the morning a bit chatting over the last bits of sticky crumbs. First on the agenda of our penultimate morning: the Rolling Hills Zoo and Museum in Salina. Honestly, I didn’t have high expectations and planned to cut the visit a little short. The car temperature gauge was reading 106 degrees and I was starting to feel the pull of the greater Denver area. But, I had promised; it was in our little trip-tix book and everything. So, we stopped. And I’m glad we did. 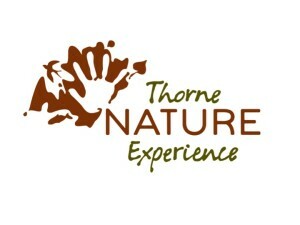 The spacious facility was clean, with good habitats and very engaging staff and volunteers. We opted for the tram ride — and had the whole thing to ourselves. 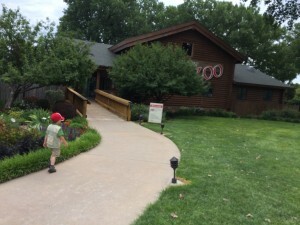 It turned out to be the best (and perhaps only) way to see the zoo on such a brutally hot day. 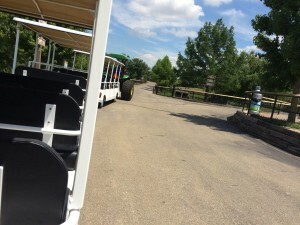 Tram ride, Rolling Hills Zoo. Salina, KS. And while the zoo itself was nice, it was the museum that was truly impressive. Huge, semi-interactive dioramas featuring animatronics and real waterfalls, on par with what I’d expect to see in a major museum. Separated by regional habitats, we toured Southeast Asian rainforests, the African Savannah, the Arctic Tundra, South Asia and more. 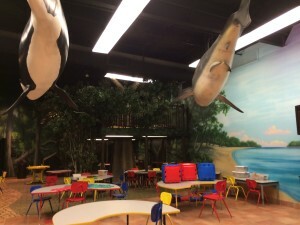 We would have toured the bat habitat, but W got too engrossed in the kids area which featured a giant Connect Four game, a reading loft, games and toys. It was a great stop. 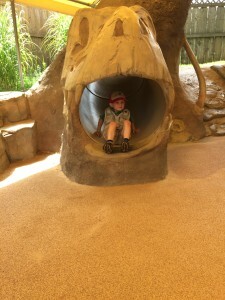 Kids area at the Rolling Hills Zoo Museum. Salina, KS. When we pulled into Hays at nearly 5pm, we went straight to our last destination of the day: the town’s aquatic park. With several pools, many waterslides (including a kiddie, frog-mouth slide), fountains, a lazy river, and floating animals to climb on, it was a refreshing respite (marred only by the very faint smell of cows). 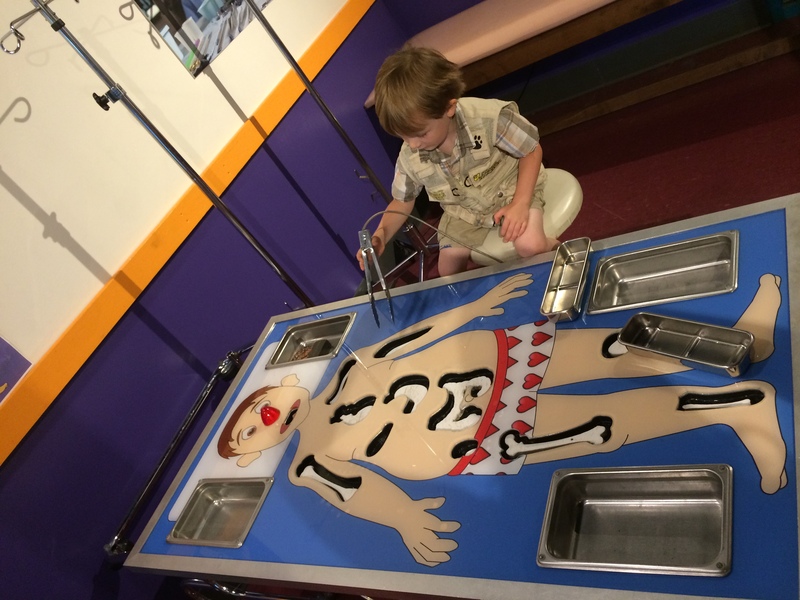 Definitely a solid smiley face from the little guy for this attraction. 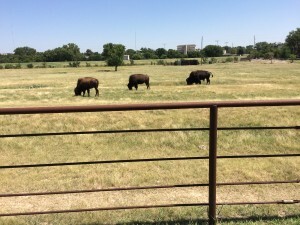 The next morning, we made sure to pay tribute to Hays’ herd of Bison before setting our sights on Colorado. Later, on our return pass through Burlington, we opted for a quick ride on the Kit Carson County Historic Carousel (25 cents!) and a bit of fun in the nearby (very shady) Outback Territory Park. This park was absolutely magical. 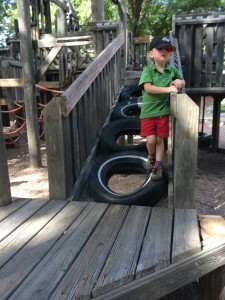 A giant wooden structure filled with nooks, crannies, slides, bridges and obstacles. A stones’ throw from the Interstate, it was time well spent. 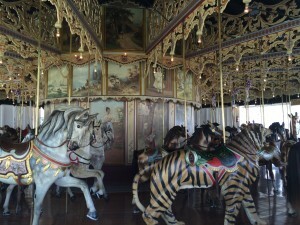 Kit Carson Historic Carousel. Burlington, CO.
Outback Territory Park, Burlington, CO.
Just a few hours, and a couple of potty breaks later, we were home. We did it, we survived. We had fun. Hooray! Check out new DVDs and music CDs from the library for the little man who decided on day one that he didn’t like ANY of his videos in the case anymore. I didn’t want to deal with online renewals and overdue fines. Just buy some on the road, you savvy travelers might suggest. Trust me, I scoured every gas station, truck stop and Walmart during the trip for copies of the kid-friendly documentaries he’s fond of. Not a single “Garbage Monsters” or “How Do They Build That?” to be found. Pack a bit more wisely. I should have packed a small travel suitcase of the stuff I knew we’d need along with an extra duffle bag of all the “just in case” items I was afraid we couldn’t live without (we didn’t need any of them). Buy more prizes ahead of time. I should have taken the time to hit up the Dollar Store for little trinkets for the whole drive. The prizes worked fabulously, but it was a pain to stop several times to add to our bag. Plus, W really liked being truly surprised. Overall, though, I was impressed with how well we both did, and I’d do it again. I think the World’s Largest Beetle and the UFO Watchtower have our names written all over them. Love finding new spots to play? 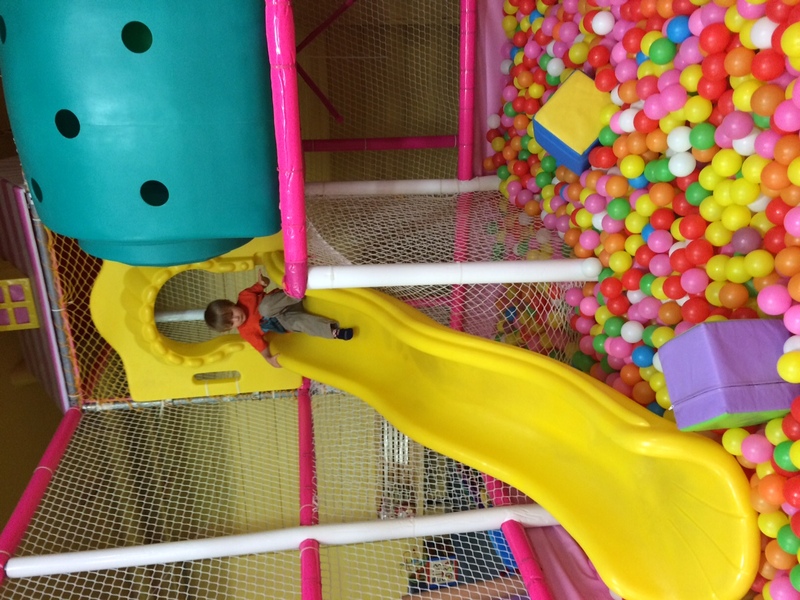 Check out the fun spots on our list — and add some of your own in the comments! Have a flame-fighting super hero in your care? Well, put this park on your list! 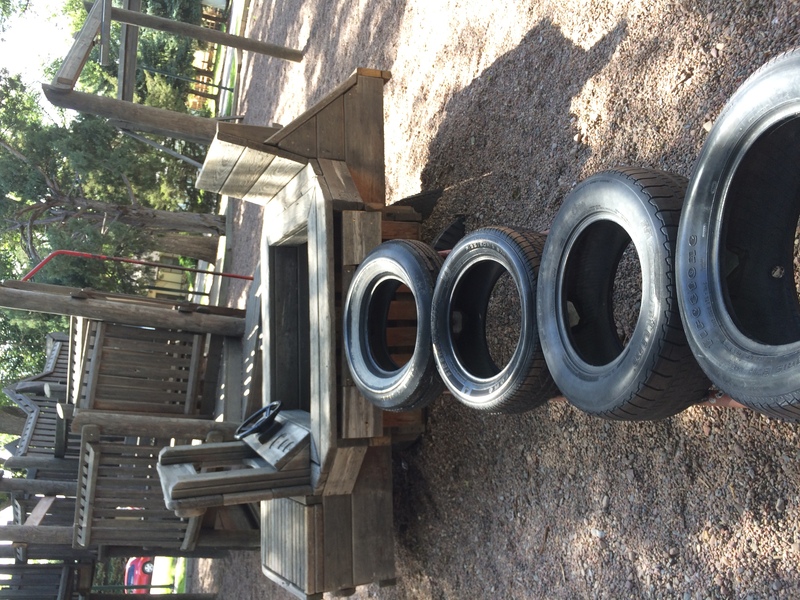 Your little ones will love the fire engine-themed play structures. Kind of dated, but fun. My little guy can’t get enough of the rickety rocket ship. Dedicated to Boulder’s own astronaut, Scott Carpenter. 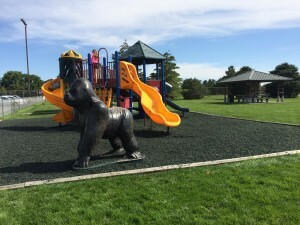 Located in North Boulder (just north of Wonderland Lake) this park has a fun playground, picnic shelters, soccer fields, a basketball court and bathrooms. Nestled behind Fairview High School, this park has a nice little lake with walking path (great for bike riding), cute play area with sandbox, no bathrooms (there is a port potty if you are feeling brave, though). 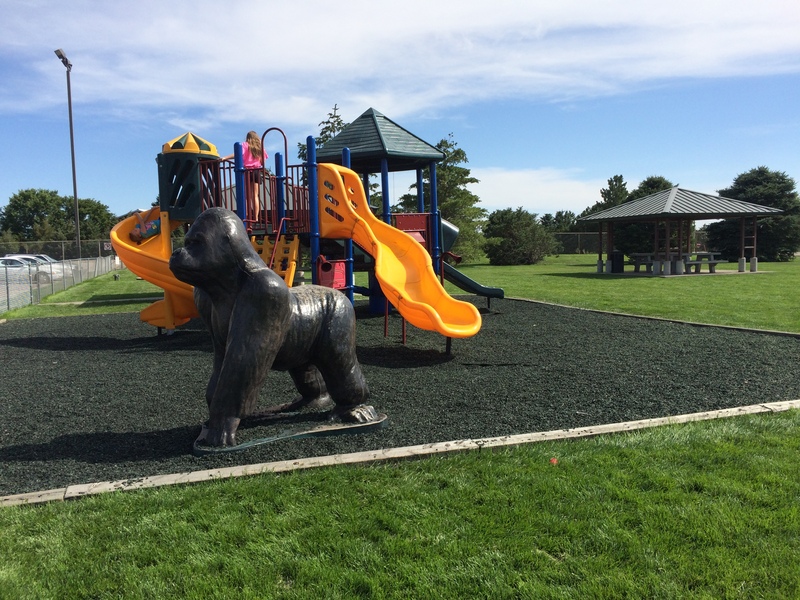 Expansive park with fun play equipment, picnic shelters and bathrooms. A hidden gem. This park is a favorite for us. I love the accessibility for wheel chairs and walkers. My little guy loves all the fun equipment. Aside from the fun play area, you’ll find plenty of green space, a shelter, seasonal bathrooms. And, if you like tossing a disc, there’s even a disc course available. This park features a tiny train ($1.75/person), petting zoo ($1.75/person), and playground. A fun adventure. 5701 S. Quebec St., 25.30 acre site. 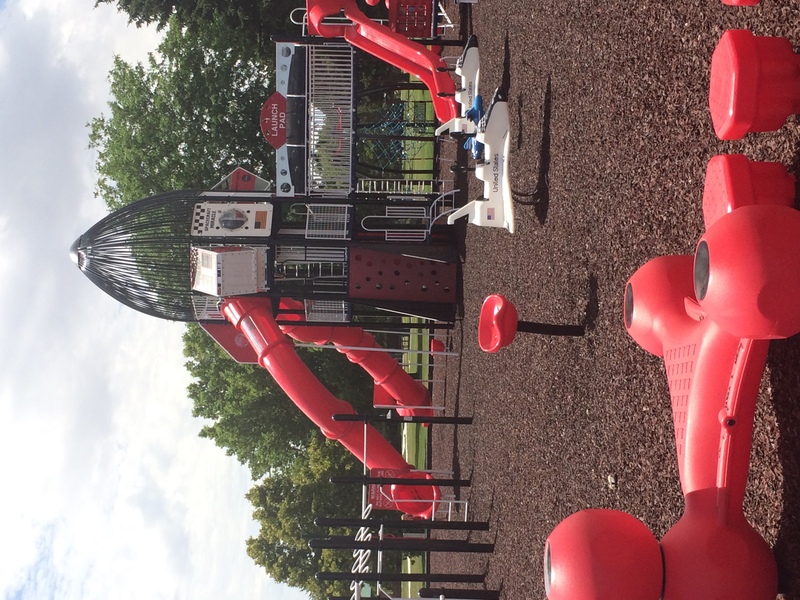 Located in SE Denver, this oasis is filled with fun climbing structures, great new equipment, pavilions, restrooms and lots of green space! Lakewood, CO. For $1/person splash splash your way to some serious summer fun! This beautiful new park is filled with vibrant play and climbing structures and beautiful ball fields. Bathrooms available. Coming soon? Water play area (Date TBD). This park is one of my all-time favorite spots. 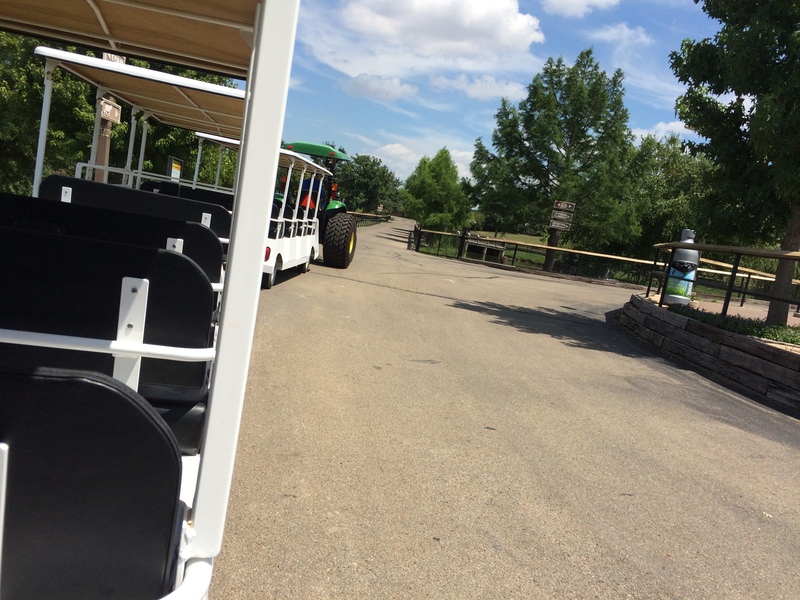 With walking trail around the lake, shady in the summer, bathrooms, plus … cool paddle boats, the kids are going to be busy! This park is one of our staples. Roughly a mile from downtown Louisville, Community Park features a fun splash pad, great play structures, a shady pavilion, and plenty of field space to kick around a ball. Oh — and bathrooms! It’s a great spot to play before grabbing some ice cream from Sweet Cow or playing a bit of pinball at Tilt! A cute shady park with a small basketball area and a lovely little soccer field and fun play structure. Near bike trails. South Boulder Road and Via Appia. Seasonal bathroom. Any train aficionados in your house? 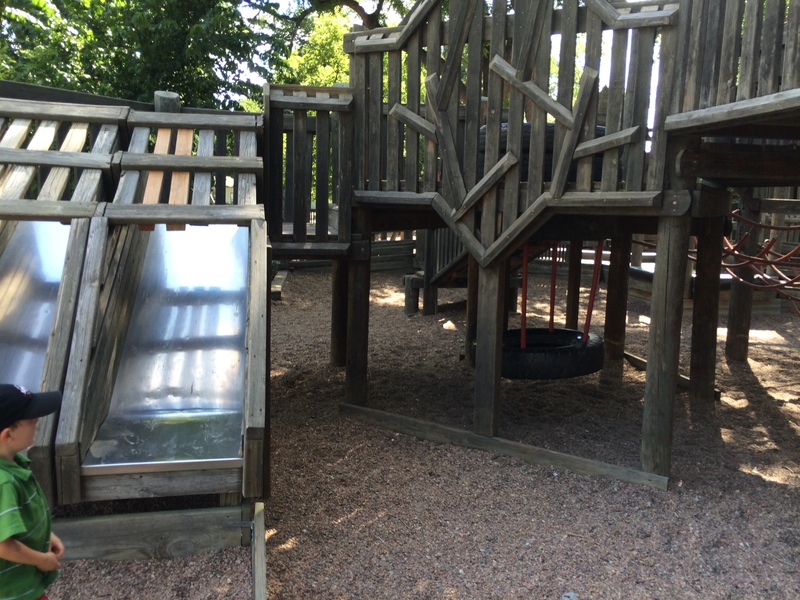 Check out this cute little neighborhood park with a train play structure! How fun! These nice little parks border scenic McIntosh Lake and make for a nice picnic spot on a beautiful day. 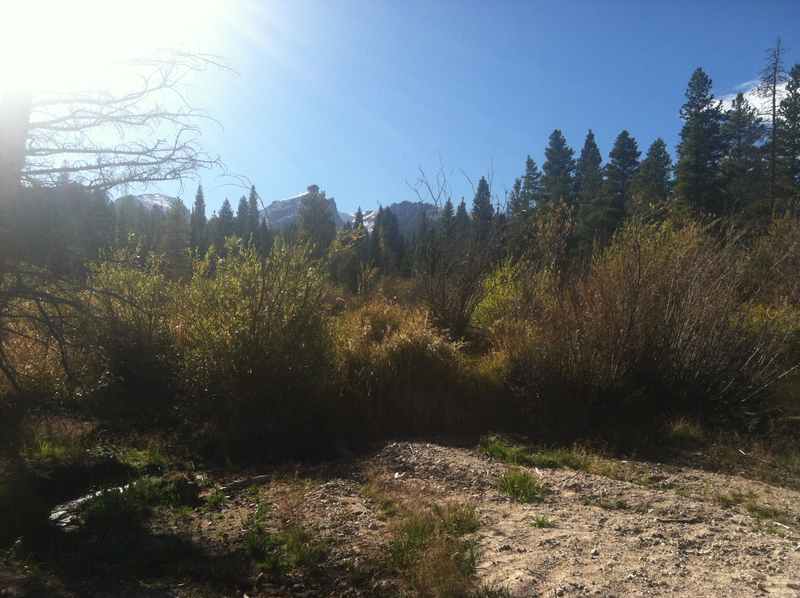 Unfortunately, this neat park was severely damaged by the 2013 floods, the park is slated to reopen soon. Here’s a recent article on the plans for Kanemoto Park. A unique area park with a beautiful pagoda, donated in 1966 by the Kanemoto family, playground and splash pool. 901 S. Fordham St., Longmont. Farm lovers take note. 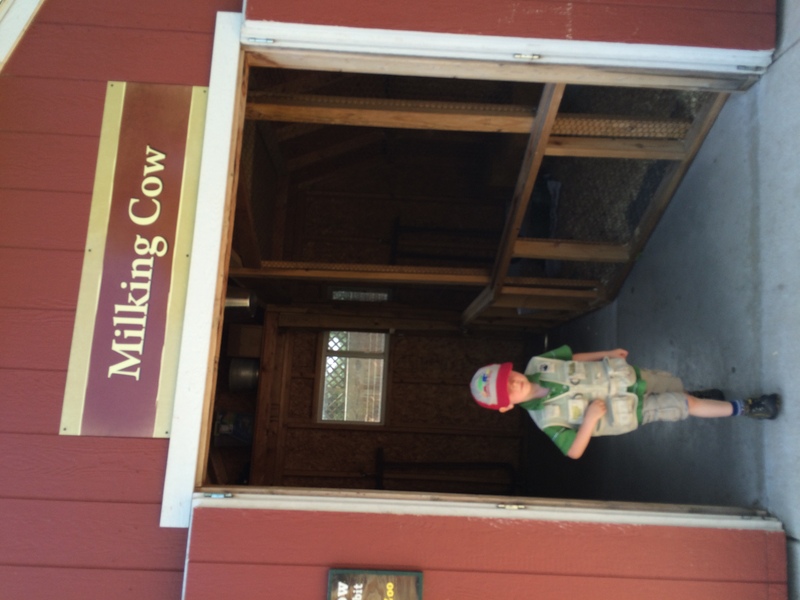 This park features a big red barn that serves as a shelter (with restrooms!) 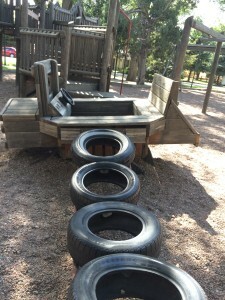 and a fun playground that incorporates farm themes as well! A wonderful neighborhood park complete with fields, playground, skate park, mini bike paths and restrooms! A really beautiful park filled with fun play equipment, ball fields, trails and seasonal restrooms and concession stands. Add to that, lots of green space and great views — and you have a really lovely day. But get hopelessly lost on your way there like I did. My GPS took me way out east to St Vrain State Park, then a series of empty farm fields. 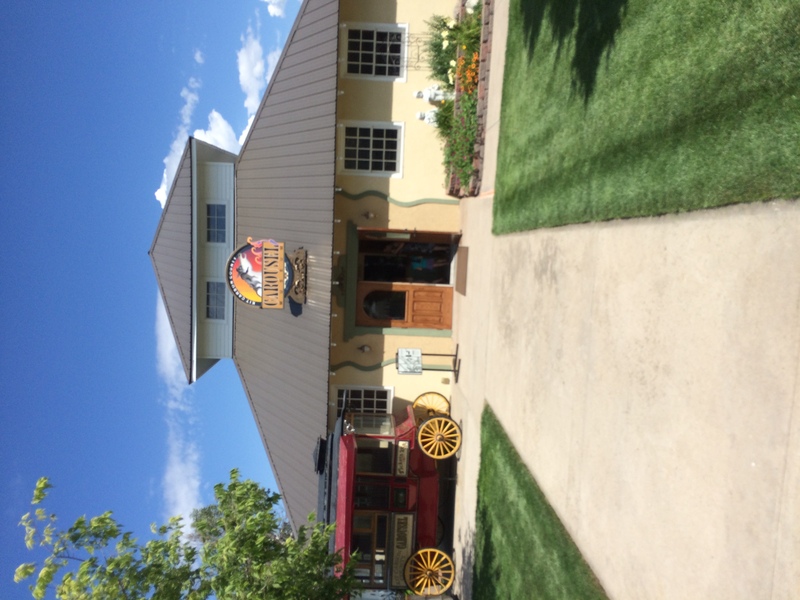 Tip: Sandstone Ranch isn’t in the middle of nowhere. It’s located off of 119/ Ken Pratt just past Zlaten Drive. Just outside the Longmont Museum is a lovely green space dotted with sculptures. No playground equipment, but it does make for a nice picnic spot. Just down the street from the fun Carousel of Happiness and the Mountain Bear Ecology Center, you can run off a little more steam at Chipeta Park. There the kiddos will find some play equipment, picnic tables (no bathrooms), and, of course, the creek. There’s a little fishing pond, too, if you’re up for casting a line. 11700 Community Center Drive, Northglenn, CO. EB Rains Jr / Northglenn Sensory Park is an inclusive, expansive park that has something for everyone including a bit of paddle boating and fishing. 7725 W Coal Creek Dr, Superior, CO. Across from the Target shopping complex, Founders Park is the perfect spot to run off a bit of steam. 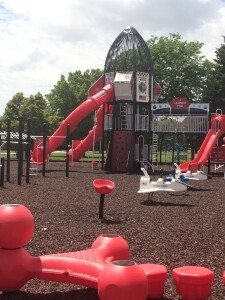 Great play structures, some walking paths, a basketball court and a soccer field, this park is on the “to do list”. Seasonal bathrooms. The con? Very little shade. Nestled between part of the Rock Creek neighborhood, Coalton Road and the Safeway shopping complex, this park is filled with ball fields, play areas and bike paths. A seasonal bathroom is available. Looking for a great grassy picnic spot? Purple Park might just fit the bill. A little play structure, a small pond and a big hill equal some serious fun. (Has a small, seasonal bathroom). Get ready for some fun. This park is something special. Features fun playscapes, a little splash “river” (a few inches deep), covered picnic tables, and restrooms. This year’s frequent bad weather got you down? Tired of stomping puddles? Here are a few fun indoor ideas for keeping the kids busy and yourself sane! 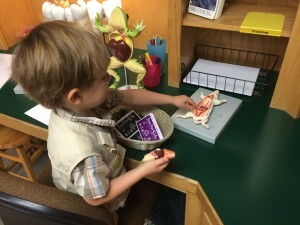 Great Excavations (Excavating critters from ice blocks) — with a little advanced preparation, you can create a fun and educational learning experience that will keep your little ones busy for a while. Our take: We filled a tupperware dish a little less than halfway with blue colored water and a handful of dinosaurs. After a couple of hours, we added some red colored water and another batch of dinosaurs. 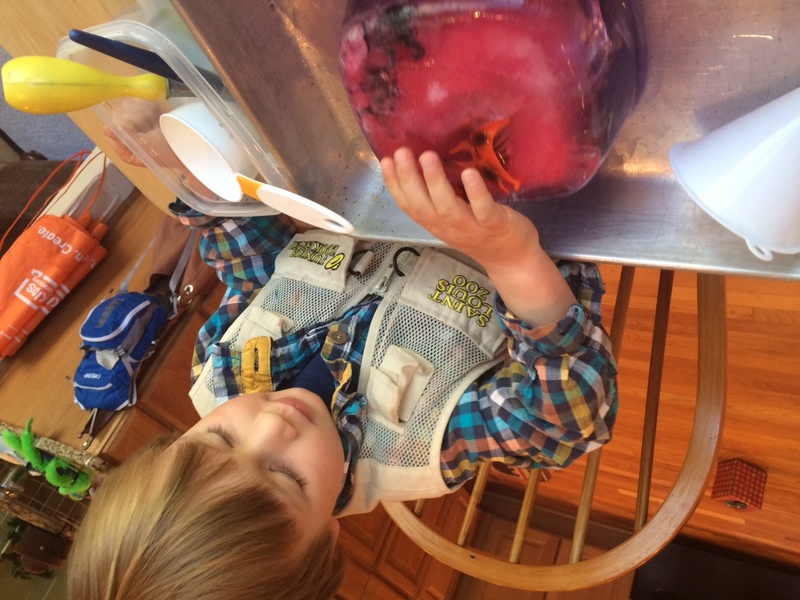 We flipped the “glacier” out on a big cookie sheet, and my little guy had a blast using a variety of “tools” to free his dinosaurs from the ice. 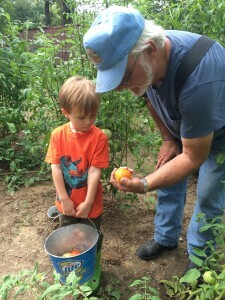 We tried table salt, rock salt, water (cold and hot), spoons … so much fun! Excavating dinosaurs from a “glacier”! Have a ‘Frozen” fanatic in the house? Make and melt some “Frozen Elsa” hands. Fill them with fake jewels, or Frozen-themed tiny toys, and let your little one work some magic. 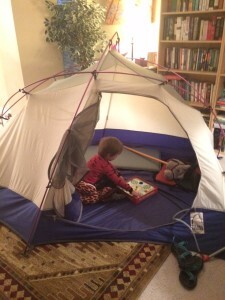 Tents and Forts: Indoor Camping: Grab the tent or some blankets and help the kiddos construct a hideout. Bonus points if you can do it in a place that’s just out-of-the-way enough to keep the thing standing for a couple of days. Our Take: We filled our tent with pillows, books and games … had breakfast and lunch and even an iTunes-fueled movie night. 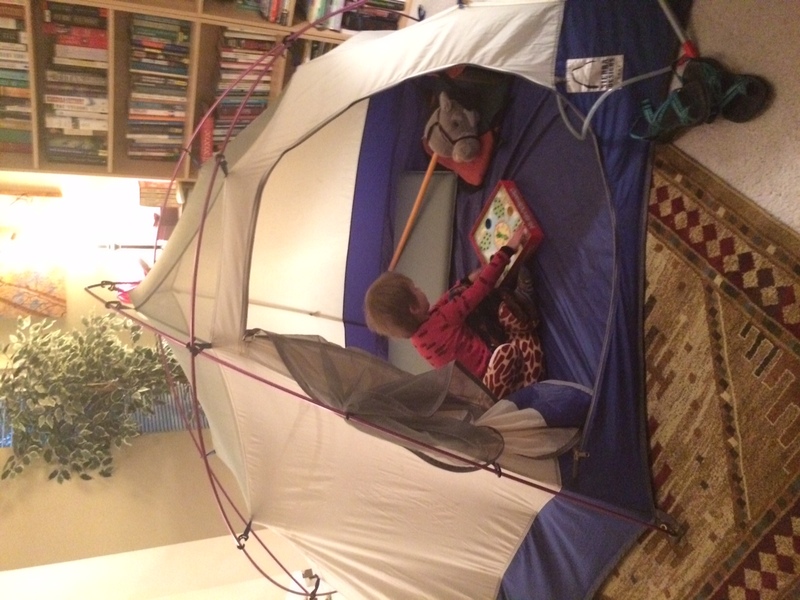 Camping indoors (with some favorite toys and friends). Have an obstacle course competition or a hot lava show down. My little guy loves to make “maps” to plan out his routes. To prevent our house from succumbing to total destruction I cordon off one room for the fun. 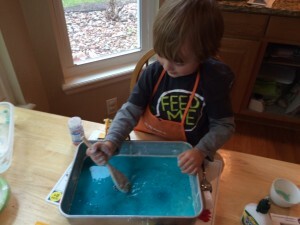 Whip up a batch of Oobleck — the gooey, category-defying substance that hooks kids on science. Just be sure to cover your table. Our rule is that it stays in the bowl, which stays on a cookie sheet. Exploring the awesome disgusting-ness of oobleck. Try your hand at Cloud Dough. Helpful tip: Cover your workspace with a towel first! Get crafty. Pull out some old paper, recyclables, or household goods and make a toilet paper roll monster, a birdhouse, or even better, one of these cute birdies. Make it musical. Build your own rainstick with some paper towel tubes and pebbles or dried beans. Make a duct tape treasure box and stage an indoor treasure hunt. Pull out some painter’s tape or masking tape and create a roadway, a line jump, a mini maze or a fun hopscotch! Works well in an unfinished basement or even the garage! Stave off hunger with a fabulous fruit rainbow. 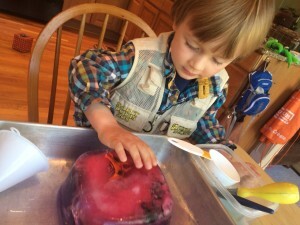 Is your kiddo a questioner like mine? 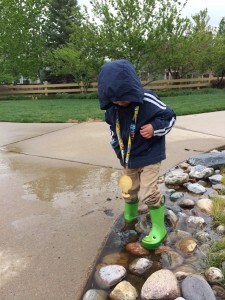 Get sciencey — make your own rain gauge, then explore a bit more about the water cycle. 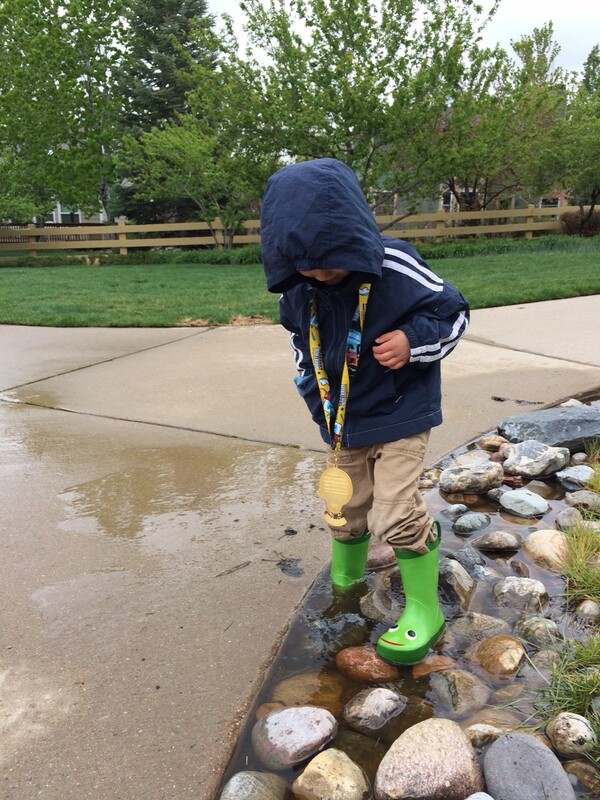 Local museums are always fun when it’s rainy, and the Boulder/Denver area has quite a few: the nearby Butterfly Pavillion, the WOW Museum, the Denver Museum of Nature and Science, the Denver Art Museum (kids under 18 are FREE everyday! ), the Children’s Museum, the Aquarium, the Colorado History Museum, the Longmont Museum, the Fort Collins Museum of Discovery. 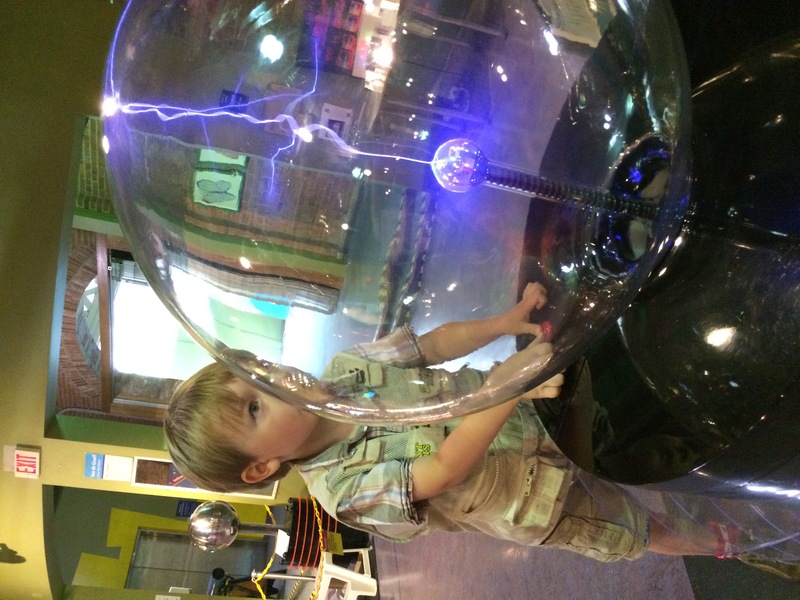 Little museums like the Weather Station/ Visitor Center at NCAR, or the Colorado School of Mines Geology Museum or the Natural History Museum on the CU-Boulder campus can be a fun, quick diversion if you’re near campus (both have a small area for kids on the bottom floors). Knock down some pins at some local lanes. Chippers, Coal Creek, Fat Cats are just a few of the great bowling spots. Even better? Sign up for Kids Bowl Free, pick the lane closest to you — around here, likely Chipper’s, and save some cash. Kids Bowl Free offers free daily games for little ones throughout the summer (does not include shoe rental, though!). Slip on some skates and practice your moves at Skate City in Westminster. Visit the Hammond Candy Factory it’s fun and sweet and best of all, FREE. For kids 5 and older, enjoy a tour of the Celestial Tea Factory or check out the Leanin’ Tree workshop where you can watch the famous Leanin’ Tree cards being made. Indulge in a little fun relaxation with a kid/teen spa day at Flutter Day Spa for Kids or Jack and Jill. Sign up for some stupendously fun art classes: Kids’ Posh Splat, Clementine Studio, Tinker Art Studio, and Art Underground are a few good places to look. Just need a place to jump around and get the crazies out? Dizzy in Longmont is always a big hit with my little one. It has a fun climbing structure, bouncy house and inflatable slide for the 10 and under crowd. Laser tag and loads of games round out the fun. 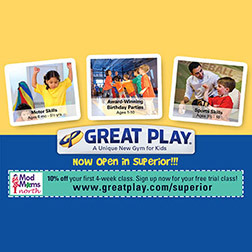 Jump City (Arvada) offers MOD Moms a great Buy One Hour Get One Free deal if you show your MOD Moms card! 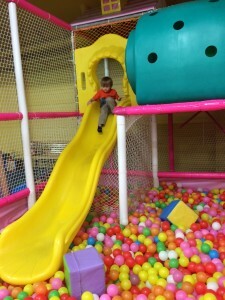 Don’t forget about the FREE play areas at many local rec centers such as Apex (we love the clubhouse! ), Paul Derda, and Erie. 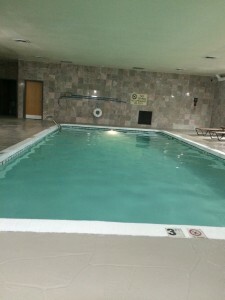 And of course, don’t forget about the awesome indoor water centers at these great rec centers as well! Have any other great tips? Leave your ideas in the comments! Thanks for stopping by!